Goodbye cold foggy skies of San Francisco, welcome hot humid 87 degree skies of Miami! 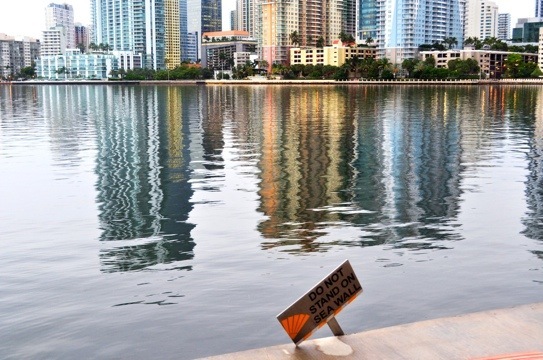 Having already experienced 2 hot humid summers this year in both New York and Chicago, the thought of returning yet again was not an exciting option. But, since it’s for Fanny’s wedding, it was worth the sacrifice. Just keep me close to the A/C, and I’ll manage. But nevertheless, here I am. After a red-eye flight, I was picked up yesterday from the airport by Fanny and literally hit the ground running. Not that I minded too much. After a delicious breakfast of lox and bagels, we headed to a spa for a relaxing mani-pedi, complete with spa chairs and mojitos. After a few more errands, Jared and Fanny met up with the photographers to take some engagement photos around Miami. 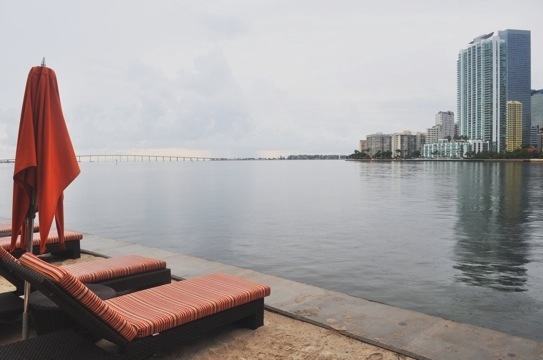 As a result, I got to see a different perspective on Miami and it was beautiful! We snuck into posh hotels, ventured onto ghetto city intersections, and took a few contraband photos at a swanky rooftop club. It was also fun for me to be around a real photographer and see her creative processes at work. I cannot wait to see how the photos turn out! Although we had a late night yesterday, we woke up fairly early this morning. But I couldn’t complain too much – it was for a massage appointment, where I felt the tensions of yesterday’s flight melt away. Not a bad vacation so far! 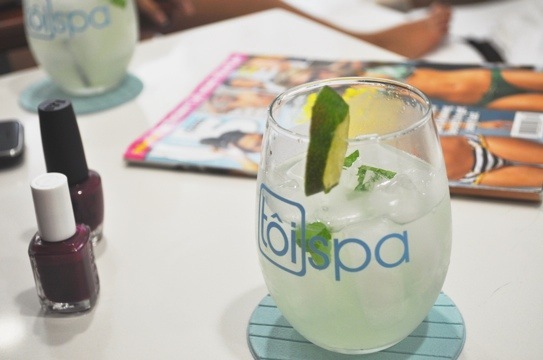 Mojitoes, mani-pedis, and US Weekly… A great combo! ← The Sky is Falling!! !